Rachael is struggling to keep the bakery afloat while Pippa is sidelined with a mysterious illness. When a woman is poisoned in her bakery, things look bleak for the Bakery Detectives. Rachael’s business is near collapsing and she is struggling to make ends meet. When a well-known woman dies after sampling one of her pies, she finds herself in more trouble than she’s ever been in her life. With Pippa sick at home, Rachael is forced to find a new partner to help clear her name, but things aren’t going well. Can Pippa get well enough to help clear Rachael and save the bakery or have the Bakery Detectives solved their last case? 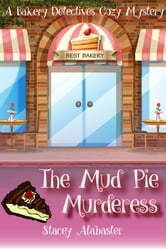 The Mud Pie Murderess is part of the Bakery Detectives Cozy Mystery series. If you like fast-paced mysteries full of quirky characters and unexpected twists, you’re gonna love The Mud Pie Murderess. 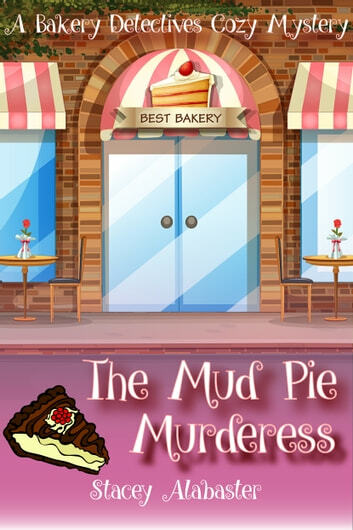 Buy The Mud Pie Murderess and start solving your next mystery today!